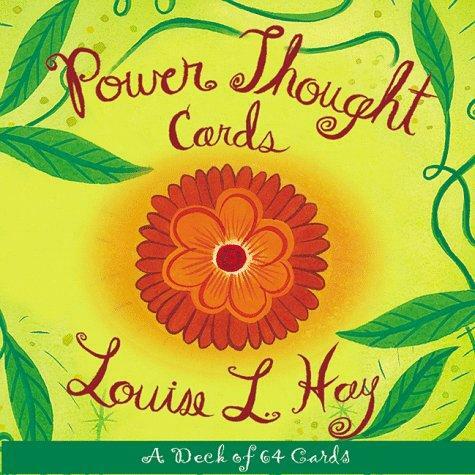 This lush, colourful card deck, from healer and inspirer Louise Hay, fairly radiates positive energy! Each card consists of a painting with a brief affirmation on one side, and a nicely handwritten “unfoldment” of that affirmation on the other. I TRUST THE PROCESS OF LIFE . . .
As Louise Hay writes, “Affirmations are like planting seeds in the ground. It takes some time to go from a seed to a full-grown plant, and so it is with affirmations—it takes some time from the first declaration to the final demonstration. So be patient.” This card set, essentially, offers 128 uplifting, heart-opening affirmations—and some colour healing to boot! IT IS SAFE TO LOOK WITHIN . . .
As I move through the layers of other people’s opinions and beliefs, I see within myself a magnificent being, wise and beautiful. I love what I see in me. Among Louise Hay’s many other books and tapes are You Can Heal Your Life and Heal Your Body. Cover-Affirmations are like planting seeds in the ground. It takes some time to go from a seed to a full -grown plant. And so it is with affirmations. It takes some time from the frist declaration to the final demonstration. So be patient-Louise Hay. Cover-A deck of 64 cards to help you find your inner strength.